When it comes to brussels sprouts I tend to get in a bit of a rut. Not necessarily a bad rut, because you cannot call thick cut bacon and reduced balsamic vinegar a bad thing, ever. But this happens from time to time, when you find a recipe, adapt it a little, and really fall in love. You stay with it, until one day you are so over it you never want to eat that creation again. So before this happens to my bacon sprouts, it's time to move on. This time, quickly pan roasted over very high heat, then served with tahini, sweet plump cranberries, a good sprinkling of sumac and lots of flaky sea salt and pepper. And if you happen to have a really good extra-virgin olive oil in your kitchen (which I hope you do), give it a good drizzle over top before serving. In a jar, combine the tahini, lemon juice, garlic and olive oil. Whisk together. Taste. Here you can add more lemon juice, salt pepper, and if it needs to be diluted a little, add a tablespoon of water. Place a large frying pan over high heat. 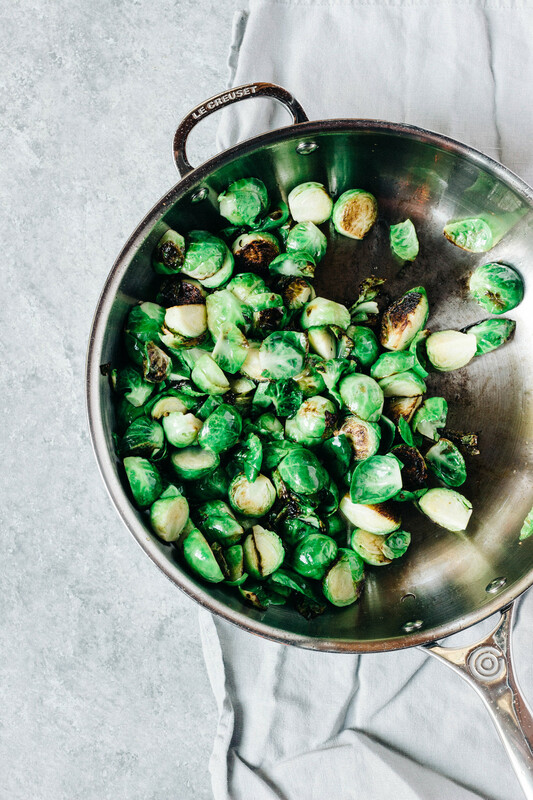 Add about 2 tablespoons of extra-virgin olive oil to the pan, and once it is warm add the brussels sprouts to the pan. Without disturbing them, cook for 3 minutes. Give them a good stir and cook for another 3 minutes. Turn down the heat and add the cranberries, pepper and a good pinch of salt, stir and then add in the stock. Cook for another 3-4 minutes until tender. 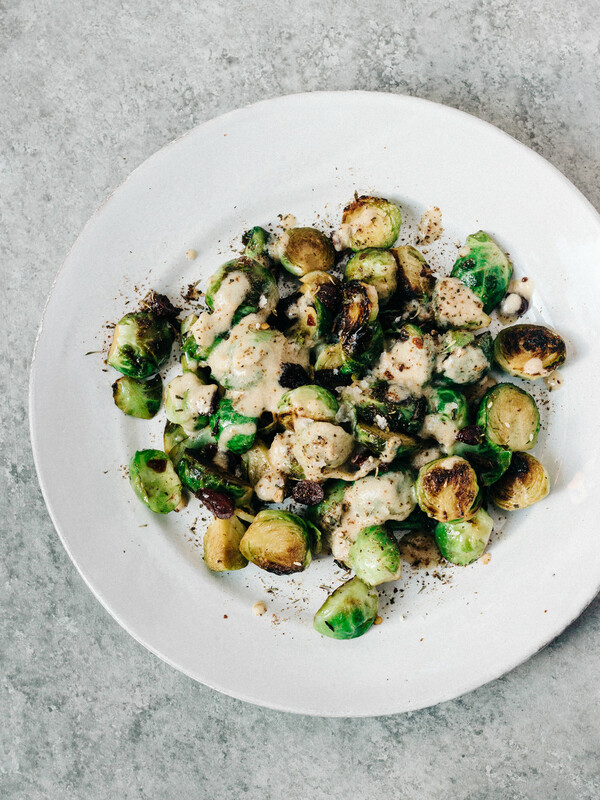 To serve, pour the tahini sauce overtop of roasted brussels sprouts and sprinkle with sumac and more salt and pepper. And a good drizzle of extra-virgin olive oil.